In 2016, Germans—and beer drinkers everywhere—will stop to celebrate the 500th anniversary of that most famous of brewing laws, the Reinheitsgebot (rhine-heights-geh-boat). To put that time frame into context, the Reinheitsgebot was born a year before Martin Luther tacked the 95 Theses to a Wittenberg church, sparking the Protestant Reformation. It has survived the rise and fall of empires, and the arrival of capitalism, industrialization and globalization. It even survived the 19th century German unification, which amazingly tried to bring both the lager-brewing Bavarian tradition and the exotic northern ale-brewing tradition under the same legal umbrella. But the Reinheitsgebot, in addition to being the oldest intact brewing law (by a long shot), is also one of the most misunderstood. Over the centuries, as it has morphed and evolved, its meaning has, too. A 500th anniversary demands a closer look—not just at the past, but also the future and the viability of this funny old law in a time of great upheaval within brewing. In other words, the original decree had a lot more to do about money than consumer health. Indeed, even the restriction on ingredients was only partly driven by the wish to banish the use of unhealthy additives from beer (though the practice was common at the time). Wilhelm was also concerned about protecting the food supply, and limiting brewers to barley freed up the wheat crop for bakers—which also helped keep the price of bread more stable. Even the part we think we understand is generally misinterpreted. In detailing the allowable ingredients, Wilhelm does not specify yeast, which has caused modern writers to assume he didn’t know about it. Not only is that wrong, but it leads us to miss an important element of the Reinheitsgebot’s logic. Matthias Trum, the sixth-generation family owner of Bamberg’s famous rauchbier brewery Schlenkerla, explains how we should actually understand that famous omission. “The yeast is in fact not mentioned; that is correct.” Trum, who studied history while earning his brewing degree at Weihenstephan, points out that brewers of the day were well aware of yeast’s existence. “In the Middle Ages, they had a profession called the ‘hefener,’ so they knew exactly. The purity law lists ingredients, right? Yeast I put in there and I get more out of it. I harvest the yeast at the end and I put it into the next batch. And that was actually the job of the hefener.” It’s actually hard to imagine how they couldn’t have known about it. Why? Because after you brew, you end up with a fluffy layer of stuff at the bottom of the fermenter: “Zeug. Zeug was the German word, which is ‘stuff.’ The hefener’s job was to harvest the yeast from the batches, to press out as much remaining beer as possible, which was sold at a low price to the poor, and then the yeast was added to the next batch. You started with a smaller amount of yeast and then you ended with a bigger amount of yeast.” An ingredient, Wilhelm’s logic went, was something that stayed in the beer. The final point is the most important of all: The 1516 law applied only to Bavarian breweries. This is not incidental, because the beers brewed there were unique in the world. By the 16th century, Bavarians were already well into lager brewing—that is, making beer with yeast strains that fermented at cool temperatures. Nowhere else in the world was this happening, including in other parts of what we now call Germany. In parts north, brewers made ales that looked like the ones in neighboring Belgium—they were funky, wild, and made with exotica like ashes, tree bark and beans as well as all manner of fruits and spices. It’s the same tradition that can be seen in historical remnants like gose and Berliner weisse. Duke Wilhelm’s original decree that beer be made with only hops, malt and water was appropriate for his charges; it would have been an absurd restriction for a brewer in Berlin or Leipzig. In fact, in a rebuke to the Bavarians, the city of Cologne even banned lager-brewing in 1603. Breweries in the north had their own tradition, and it included brewing with a range of ingredients. In order to accommodate the co-existence of the two traditions, the 1919 Reinheitsgebot effectively became two laws; the old, restrictive one for lagers and a more lenient one for ales. The bifurcated “Reinheitsgebot” has caused quite a bit of confusion over the years. 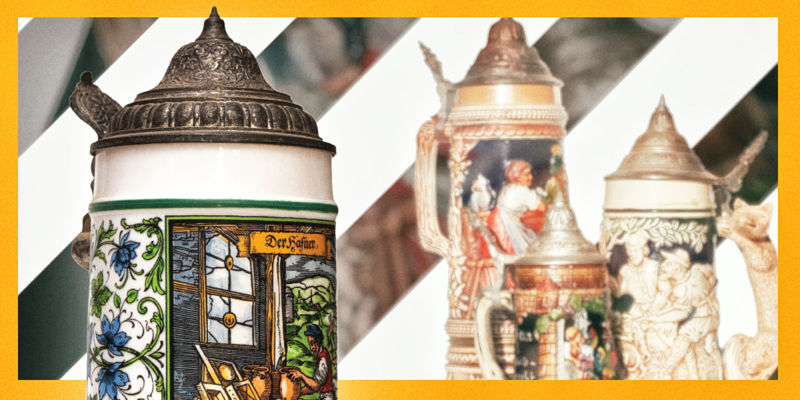 In the popular imagination, all German beer is made with only barley, hops, water and yeast. But an ale brewery making beer with wheat malt, coriander and salt is also Reinheitsgebot-compliant, thanks to the expanded rules. There are just so few of those latter beers left that few people have had occasion to take notice. There was one more unification to come in Germany, this one after the Wall came down in 1989. In the aftermath of that final union, the Reinheitsgebot was subsumed under the tax code, known as the Biersteuergesetz, or the provisional beer tax law. The guidelines carry on with two categories, one for ales and one for lagers, and have become enshrined as a kind of national trust. In one final curious twist, the Germans were forced by European courts in 1987 to accept imports of beer from other countries not brewed to the Reinheitsgebot. It seems to have convinced Germans that their beer is all the purer and better by comparison. It’s one thing to say that beer should only be made of four ingredients; it’s another to figure out how to implement those rules as technology changes. In 1516, before industrialization and the invention of things like thermometers, the law’s meaning was pretty clear. But in 2015, brewers have many more tools available to them—and this has had a curious effect. Over the decades, brewers and the law have come to certain accommodations. An almost universal practice in other countries is adding carbonation to beer before packaging. Is it an additive? Here’s Bayern owner and brewmaster—and native Bavarian—Jürgen Knöller on the subject. “We have the law of purity, and we’re still brewing in strict accordance to it. For example, when someone has a bright beer tank and blows CO2 in there to carbonate their beers, that is not in accordance with the law of purity.” If you want to add carbonation, it must come from the brewing process. “You observe your beer, you close it up at the right time, and you have natural carbonation.” Breweries adhering to the purity law across Germany capture the CO2 produced during fermentation and use that to carbonate their beer. As a practical matter, adhering to the letter of the Reinheitsgebot has produced a brewing style in Germany that is unique. No other breweries bother to do this stuff. When they depart for other countries, German brewers often abandon the more Byzantine of these practices. In creating all these exemptions and qualifications, it has also meant that the law has moved further and further away from the simple idea of “purity” most German drinkers think it represents. When people survey the German beer scene, they often talk about calcification of styles and a resistance to change. It has resulted in a long, slow decline in per capita beer consumption and put some local styles, like altbier, in jeopardy. The Reinheitsgebot isn’t solely responsible for these trends, but it makes addressing them an interesting challenge. Second, it might give regular drinkers an opportunity to learn what the law allows, as well. Beers can be made in a variety of styles that comply with the Reinheitsgebot. In Kelheim, the venerable Schneider and Sohn Brewery has been pushing these limits for years. Inspired by hoppy American ales, master brewer Hans-Peter Drexler has worked with growers in nearby Hallertau to produce new, more expressive hop varieties to use in his weissbier. He has even experimented with barrel aging, which brings natural wild acidification into these beers. As cutting-edge as that looks now, it’s very old-school in Germany. Wood-aging beer goes back centuries. 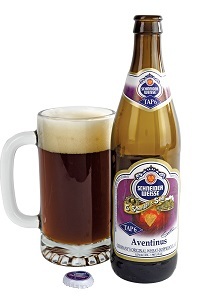 Hoppy and barrel-aged weissbier are both perfectly modern and also brewed to the Rein­heitsgebot. Jan Matysiak, a Texas-based German brewer, says that, certainly, “you can brew IPAs to Reinheitsgebot.” The limitations imposed by the old rule are far less restrictive than those the brewers and drinkers have been placing on themselves. If 2016 does turn out to be the year the Reinheitsgebot gets another look, brewers and consumers can look with their modern eyes at these issues and decide what “purity” means. There was nothing sacred about Duke Wilhelm’s original decree, and it has evolved substantially in the 500 years since its introduction. Perhaps to bring it into its next half-millennium—to preserve it as a living part of the German tradition—it needs to evolve a little more. The following beers were tasted by beer editor Ken Weaver. 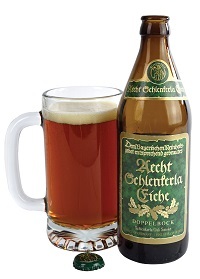 Tasting Notes: Even the label proudly declares this beer’s adherence to the Reinheitsgebot. Brewed with oak-smoked malt, rather than the more traditional beechwood treatment, this doppelbock is especially inky and rounded by vanilla, even relative to the brewery’s core line. Rich landscapes of campfire, almond and roast lead, with much complexity arriving courtesy of that malt permeated by a curious smoke. As the expression goes (and arguably true of the Reinheitsgebot as a whole): Constraints breed creativity. Tasting Notes: It’s always refreshing to return to some of the classics, to remember all the things that they do well. Here, a deep caramel-brown pour is capped by light tan foam, like mousse. Aromatics are basically from another planet: cotton candy and caramelized sugars that feel weightless. Huge depths of dried dark fruit and leather are lit up by peppery clove and zesty bubbles—all the parts oriented in their proper direction. Tasting Notes: This unfiltered, Bavarian-style lager is a part of Urban Chestnut’s Reverence Series: “our celebration of beer’s heritage—brewing classically crafted, timeless European beer styles.” Herbaceous and spicy hops provide a firm foundation here, while that underpinning of pilsner malt appears toasty alongside almond notes and emergent honey. 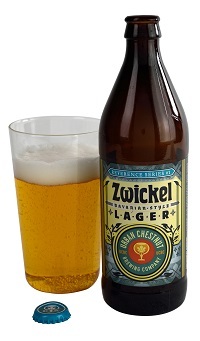 A beautifully developed, complex and well-built lager that’s endlessly crisp. 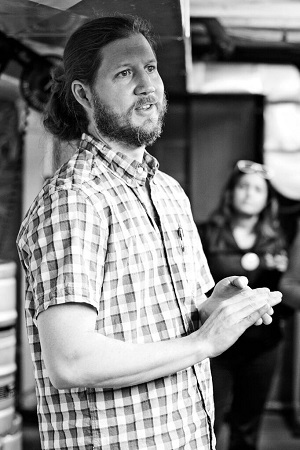 Jeff Alworth is the author of The Beer Bible and Cider Made Simple. Perhaps on the 1000th anniversary we will be enjoying a lager or an ale in space! Great article MR. Alworth, as always. I would like to ask if the evolution as you suggested of the Reinheitsgebot would bring about a loss of traditional brewing culture, in your opinion. As exemplified in your article, there is a brand trust issue to be aware of, but I think that in the future we would perhaps look back at the, some what garbled and misunderstood law, as a technical style asset. There is bending the rules, interpreting them differently, and then there is the loss of historical style. Would love to hear more from you on the topic. Nitch, I’d probably characterize Reinheitsgebot as a “shaper” of traditional culture and styles. As an agent of national tradition, we put Reinheitsgebot (hereafter “Rein”) in a special category, but that’s probably a mistake. It codifies national tradition and makes it inflexible, but it’s not fundamentally different than what other countries do. The English, Czech, Belgian, and now even American breweries have certain “rules” they adhere to, even though they’re not actually written into law. National tradition oozes like syrup into fingers and pools and then hardens in those formations. It’s fundamentally arbitrary–which people from other countries can easily see–and yet it becomes a guiding light. You see this in tons of other fields, too. Think of your French and their cuisine. I notice that he didn’t say that they didn’t use sugar. Germans – It’s surely time to get rid of this anachronistic law – It’s slowly killing your beer. In the post-craft landscape, German beers look increasingly dull. Additionally, it does nothing to prevent inferior beer using hop extract being made by cheap manufacturers. You are some of the best brewers in the world – imagine how good it could be if you were freed from the tyranny of this relic! There’s nothing at all dull about the beers of Franconia. Rather a tasty traditional Kellerbier than yet more effing IPA. It’s IPA that’s destroying beer everywhere, not the Reinheitsgebot. I second that. Getting a good beer out of 3* ingredients is art. Making a cocktail, too. But a cocktail is no beer. You forgot to mention that sugar is allowed in top-fermenting beers and in Einfachbier artificial sweeteners can be used.